IndusInd Bank announced the launch of ‘Onthego’ Social banking which offers customers a host of banking services including transactions through social platforms like Twitter and Facebook. Apart from providing banking services like checking account balance, enquiry of mini-statement, locating nearest ATM/branch, users now can transfer money to their phone and social contacts using Facebook and Twitter. The user need not download any additional mobile app. MapR Technologies announced at Strata + Hadoop World the addition of native JSON support to MapR-DB, the top-ranked NoSQL database. The first in-Hadoop document database will allow developers to quickly deliver scalable applications that also leverage continuous analytics on real-time data. RedDoorz announced that it has received an undisclosed amount of pre Series A funding led by Jungle Ventures. It further announced that Philip Wolf, Founder PhoCusWright and Ajay Bakaya, Executive Director at Sarovar Hotels & Resorts, both travel and hospitality industry veterans have joined the company’s Strategic Advisory Board to help accelerate it's growth and product success in its segment. Tata Consultancy Services (TCS) announced that its client Axis Bank has implemented a state of the art enterprise payments hub (EPH) on a modern architecture powered by TCS BaNCS. Axis Bank’s vision was to create new levels of customer service by delivering both of innovation and efficiency. Simplicity is the most loved thing in the world. It makes a websites look cool, reduce nagivation confusion. 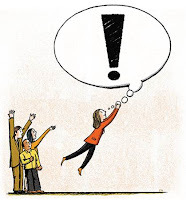 It also helps achieving desired goals and results (I.e., more signups, subscribers and sales). But too often it seems elusive to simplify your website design. No matter how hard you try, you can’t make your work look like Apple’s. So what does a website designer really needs to do? Fret not, for there are 5 starting points to simplify your website design. Hitesh K Arora has quit as CTO of Yum! Restaurants India Pvt. Ltd., to join the customer-centric disruptor, CRMNEXT, as Director - Strategy & Customer Advocacy. Juniper Networks announced advanced anti-malware with zero-day threat protection from the cloud, redesigned security management and the latest firewalls for enterprise campus and branch networks, as part of its new Juniper Networks Unite architecture. Juniper Networks introduced Juniper Networks Unite, a new reference architecture that provides simplified and secure network infrastructure solutions required to modernize enterprise campus and branch networks into cloud-enabled service platforms. Based on Juniper’s latest networking software, systems and cloud services, Juniper Unite will deliver an agile and secure network architecture for enterprises looking to quickly deploy cloud applications and services through a single, easy-to-manage network management platform. Telit, a global enabler of the Internet of Things (IoT), announced that Cellocator,a Pointer Telocation division, has selected the Telit IoT Platformas the underlying IoT Cloud infrastructure for its new CelloTrack Nano system.The Platform, powered by device-WISE,automatically performs all the critical connection, management and integration functionsto simplify deployments of the Nano system across markets and industries worldwide. Palo Alto Networks announced general availability of AutoFocus, a new threat intelligence cloud service that provides prioritized, actionable cyberthreat intelligence and gives organizations a clear advantage in the battle against cyberthreats. 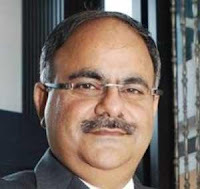 Infogain Corporation announced that Infogain and Blue Star Infotech have entered into definitive agreements under which Infogain will acquire Blue Star Infotech’s IT operations. Blue Star Infotech is the IT business of Airconditioning and commercial refrigeration major, Blue Star Limited (Blue Star). The acquisition will expand Infogain’s digital transformation offerings, particularly in the areas of Cloud, mobility, SAP and analytics and add specialized capabilities in the travel/hospitality, high-tech and healthcare verticals. In addition, the combination will strengthen and enhance the leadership position of Infogain in the areas of product engineering and test automation. WinMagic, a data security company, organised a roundtable on IT Security: ‘Are we leaving the main door open?’. The Round Table was chaired by Mark Hickman, Chief Operating Officer, WinMagic and Vipin Kumar, Group CIO, Escorts. RBL Bank has selected Clover Infotech to manage its core applications. Clover Infotech has seamlessly taken over from the existing vendor. The RBL bank is on an expansion plan and it has sought a technology partner with strong banking domain knowledge and experience in managing wide range of software applications and infrastructure for banks. 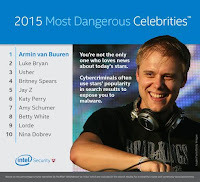 Electronic Dance Music (EDM) DJ Armin van Buuren replaces comedian and talk show host Jimmy Kimmel as Intel Security’s most dangerous celebrity to search for online. For the ninth year in a row, Intel Security researched popular culture’s most famous people to reveal which of them generates the most dangerous search results. The Intel Security Most Dangerous Celebrities study revealed that searches for certain musicians and comedians tend to expose Internet searchers to more possible viruses and malware. 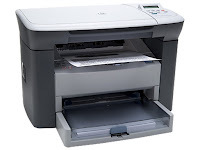 HP introduced a new portfolio of HP PageWide XL Printers with the launch of HP PageWide XL 8000 Printer in India, offering the fastest large-format production printing available in color and black-and-white. Microsoft announced the availability of Microsoft Azure services via local datacenter regions in India. As the first public cloud provider from India, Microsoft has opened three new regions – Central India in Pune, South India in Chennai, and West India in Mumbai. Governments, large businesses, small and medium businesses (SMBs) and citizens can use the massive computing power now available locally to fuel India’s inclusive growth, spur innovation and accelerate digital transformation. PepperTap, an on-demand hyperlocal grocery delivery service, has closed a Series B funding round of $36 million. The latest funding round was led by Snapdeal along with existing investors Sequoia India and SAIF Partners. The funding also saw participation from new investors like Ru-net, JAFCO, and BeeNext. Additionally, PepperTap is in advance talks to expand this round by another USD 20 million from other financial investors. This second close is expected to happen in the next few weeks. Datum Datacentres, the Farnborough based provider of ultra secure, high resilience co-location data centres, announced that Datum FRN1 has been approved by the DCA Certification Board as a Fully Operational Class 3 Data Centre. Health care providers in India are expected to spend $1.2 billion US Dollars (USD) on IT products and services in 2015, an increase of 7 percent over 2014, according to Gartner, Inc. This forecast includes spending by healthcare providers (includes hospitals, as well as ambulatory service and physicians practices) on internal services, software, IT services, data center, devices and telecom services. Worldwide shipments of 3D printers will reach 496,475 units in 2016, up 103 percent from the predicted 244,533 units in 2015, according to Gartner, Inc.'s latest forecast. 3D printer shipments are forecast to more than double every year between 2016 and 2019, by which time worldwide shipments are expected to reach more than 5.6 million. Acer India announced the launch of its exclusive Acer Malls at Nehru Place in Delhi and Hubli in Karnataka. The outlets will showcase the entire range of newly launched Acer products across Notebooks, Desktops, Tablets, Monitors, Projectors and Tablets. This Acer Mall is the first exclusive brand store of Acer at Hubli and fourth exclusive brand store in Delhi. The Malls are part of a new wave of Acer Malls imbibed with a new brand philosophy and path breaking retail design concept. IBM announced plans to globally expand its business solutions capabilities with new, cloud-based Industry Platforms to simplify and accelerate clients' digital transformation journeys. IBM’s portfolio of Cloud Industry Platforms and Solutions deliver fast, simplified access to services that allow clients to exploit the opportunities of cloud and big data, and make their transformations with the assurance of predictable outcomes. Oracle Academy, Oracle’s flagship philanthropic program that delivers a complete portfolio of computer science learning resources to educational institutions, kicks off the 2015-2016 academic year with new curriculum, junior certification courses, and interactive assets. In the recently held award ceremony of ‘Most Influential CIO/CTO’s of India’, Mr. Dinesh Kumar, CIO of Wave Infratech has won the honor of ‘Most Influential CIO of India’ for his outstanding contribution in the field of technology. ASUS announced a partnership with Oculus, a leading innovator in virtual reality technology, at the Oculus Connect 2 Developer Conference in Los Angeles. This partnership is aimed at offering gamers truly immersive gaming experiences with the ASUS G11CD and Republic of Gamers (ROG) G20CB gaming desktops and Oculus Rift virtual reality headsets. Both the ASUS G11CD and ROG G20CB are powered by the newly-launched 6th-generation Intel Core processor and feature NVIDIA GeForce GTX graphics for uncompromised gaming performance. Schneider Electric, the global leader in energy management and automation, announced the appointment of Prith Banerjee as its new Chief Technology Officer. Prith will be in charge of accelerating Schneider Electric’s R&D throughput and of driving the Innovation and R&D simplification programs under the Company Program “Schneider is On”. He is also a member of the Schneider Electric Executive Committee. With the help of a vulnerability linked to the popular file-transfer feature AirDrop, malevolent applications can be installed on millions of Apple devices after replacing all the authentic apps. This vulnerability is moderated in iOS 9, which is available to the public now, is not fully secure. Nevertheless, the fans have insisted to upgrade it. Array Networks announced that they offered a customized solution to Cosmos Bank for enhancing their data replication process and safeguarding valuable customer data. Cosmos bank required their database to be replicated whenever there was a database breakdown. During such breakdowns, Cosmos Bank could lose customer data and was unable to provide banking services. To overcome this problem, the bank deployed Array Networks' WAN Optimization, which ensured zero data loss during data replication to the disaster site and helped the bank in recovering their customers' data. Array Network's aCelera turned out to be a solution which optimized storage data replication by 70% and crunched the data loss up to 65%. The merger with Vocus is a welcome addition of scale for both companies. M2 challenged TPG's acquisition of iiNet with its own offer, but TPG outbid it. "This showed that M2 was very interested gaining scale, as it needs to in order to compete with the leading three - Telstra, Optus and TPG - once the NBN is fully rolled out," opined David Kennedy, Research Director, Telecoms, Ovum. To connect Indian innovators to the global marketplace, NASSCOM in partnership with TiE Silicon Valley, and IIM Ahmedabad’s CIIE India, hosted the first India- U.S. Startup Konnect in the Silicon Valley. The Prime Minister interacted with the entrepreneurs and shared his vision on ‘Start up India, Stand up India’. The Start-up Konnect featured the multiple dimensions of Indian innovation capabilities represented by 36 start-ups from India and 5 start-ups from U.S. across a variety of sectors such as agriculture, healthcare, energy, financial inclusion, and clean tech. The startups unveiled their products, models, and achievements to investors and other potential valley partners. The start-ups were selected through a nationwide selection process for companies that are building products for social good. Qualcomm announced its intention to invest up to $150 million in Indian startup companies across all stages as part of its commitment to India during a meeting with Prime Minister Narendra Modi at the Digital Economy event in San Jose. Qualcomm Ventures will advise and direct Qualcomm’s activities with respect to these strategic investments. 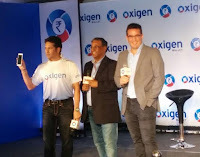 India's Largest Payments Solutions Provider, Oxigen Services India has signed master – blaster – Sachin Tendulkar as its brand ambassador. Reflecting the core values of the company in his virtues of unshakable commitment and humility, Sachin is undoubtedly the perfect face for Oxigen. Virtusa Corporation announced the availability of its ADOPT (Accelerated Domain solutions for Pega Testing) framework. The comprehensive testing platform for Pega based applications will help deliver cost optimization without compromising on overall quality. BlackBerry is going through tough times for quite some time now and is struggling to stay relevant for customers in one or the other way. But all its hopes are diminishing one by one. Its efforts to play around with new devices did not pay off well as the market for its devices did not find any takers. Recently the company reported the biggest ever loss in the revenue. This is t he reason the company has finally announced that it would manufacture Android-based devices. The first BlackBerry Android phone is going to be called 'Priv'. DCProfessional Development (DCPro) announced the launch of a new training platform, the DCD Training Academy that allows organisations to standardise and scale their mission critical personnel development programs in a more cost-effective way and manage training engagements across distributed critical facilities teams. RailYatri.in launches RailRadarGPS; uses your smartphone for train location. RailYatri.in, a technology start-up focused on train travellers, has launched country’s 1st GPS train tracking platform, ‘RailRadar GPS’, to track and display the real time movement of nation-wide trains on a Google map. With this release, the award-winning train travel app has taken the 1st concrete step towards the longstanding train tracking challenge using smart location technology implementation like never before. RailYatri’s ‘RailRadar GPS’ enables users to track running trains on a Google map along with its on-time/delay status. With the objective of reinventing photographs and radically changing online communication and social networking, VoxWeb's 'Speaking Orange Line Picture' app now goes live in India, Europe and North America. To celebrate the first anniversary of Xbox One, Microsoft India announced three new exciting Xbox one Console Bundles launching on October 2nd, 2015 with Pre Orders on Amazon.in going live on September 25th, 2015. 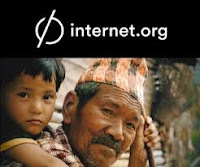 Starting today, more than one billion people who have access to Internet.org's free basic services across Asia, Africa and Latin America will now be able to access more free services through the Internet.org Platform. In May we introduced the Platform as a way for developers to easily create services that integrate with Internet.org, and a way to give people more choice and control over the services they access. Starting today, the Platform is now live. Worldwide spending on information security will reach $75.4 billion in 2015, an increase of 4.7 percent over 2014, according to the latest forecast from Gartner, Inc. The increase in spending is being driven by government initiatives, increased legislation and high-profile data breaches. Security testing, IT outsourcing, and identity and access management present the biggest growth opportunities for technology providers. Today’s entrepreneurs have different needs in terms of fund-raising, product development, and social marketing. Often, the startups are not just developing new technologies but also creating innovative software for existing ones. Creative thinkers enjoy going to networking events with like-minded individuals as well as attending academic conferences. And they are likely to subscribe to credible sources that curate content they’re interested in, including research articles, videos, and other material related to their product ideas. Zinnov released an interesting whitepaper on the ‘R&D Engineering Services Market in the U.S’. The whitepaper pegged that the Annual R&D spend of companies headquartered out of North America stands at USD 255 Billion, making it 41 percent of the total Global R&D spend and continues to outpace other geographies. It also added that the West Coast dominates the R&D spending in US and presents larger opportunity for ER&D services. Prime Focus Technologies (PFT) announces that its application rich CLEARTM Media ERP Suite, including DAX® with Digital Dailies®, provided cloud-based production workflow for 11 of the 2015 Emmy Award-Winners. PFT’s CLEAR Media ERP Suite virtualizes the content supply chain, helping companies drive creative enablement, enhance efficiencies, lower the total cost of ownership and discover new monetization opportunities. Samsung Electronics Africa has announced it will be taking part in the fifth Innovation Africa Summit taking place at the Speke Resort Munyonyo, Kampala, Uganda from 30 September to 2 October 2015. Over 40 African ministers, deputy ministers, and cabinet secretaries from 30 countries are expected to meet and share insights on education, innovation and ICT skills development in Africa. Snapdeal announced the availability of second generation of Moto E phones on its platform. The 2nd Gen of the very successful Moto E phones come at very attractive price points of Rs. 5999/- and Rs 6999/- with 3G and 4G connectivity respectively. Telenor India introduced a refreshed brand identity today. The company has retained its prominent position as Sabse Sasta (most affordable) operator and has extended its commitment to deliver excellence through fair and easy services. 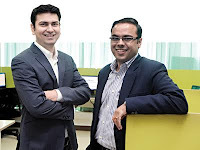 Building upon its innovative tech-driven solutions, interactive real estate portal Superise.com has announced a tie-up with leading online payment aggregator PayUMoney. The move shall see Superise.com leverage PayUMoney’s secure online payment infrastructure as a permanent payment gateway to provide an enhanced and more secure payment experience to its users. Th​​e tie-up will also heavily benefit Superise.com users, who will get 100000 PayUMoney points on every purchase made on Superise.com. According to the recent IDC Q2, 2015 tracker; HP has retained the leading spot with market share of 26.4 per cent in India PC market. The company has recorded the highest growth rate of 17.7 per cent quarter on quarter owing to strong enterprise engagements and spending from SMBs, which fuelled up their growth in Q2 2015. 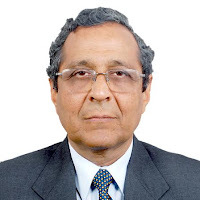 APUS Group announced their plans to foray into India by setting up an operations centre, Global R&D centre and a technical support centre in the country. The initiative is expected to create around 350-500 jobs in the next three years. The Indian centres will be at the forefront of the R&D and Technical support operations for the APUS Group globally. A rather interesting study has revealed that nine out of ten people suffer from a fear of coming across an unpleasant situation associated with their phone. This could be something to do with losing their phone, getting it damaged or stolen, or having an utterly useless phone. This fear is known as ‘Nomophobia’. With mobile phones now becoming the next best thing after food, water and air, the existence of this fear doesn’t seem like an urban legend anymore; it is a real situation. Not long ago, job aspirants eager to earn a little extra and work in their preferred companies would readily accept stressful work cultures, cranky bosses and rigid HR policies. But today, candidates have a host of company reviews, ratings, salary comparison and networking tools to know all about the job and the company they are receiving job offers from. HP announced innovations for HP 3PAR StoreServ Storage to support the transformation to hybrid IT and all-flash data centers, including a new 8000 family featuring the industry’s most affordable all-flash array (AFA), twice the workload performance of previous generations(2) and automated performance assurance with flash-optimized quality of service (QoS) controls. 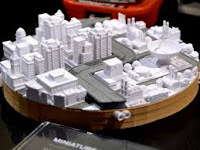 Tata Consultancy Services announced its Digital Software & Solutions (DS&S) group has released ‘Intelligent Urban Exchange (IUX),’a powerful analytics-based software solution for intelligent city operations to help address growing expectations of digitally connected, urban citizens. At this year’s IRSTE “Railway Convention on Advances in Command, Control and Communication Systems for Main Line, Metro & High Speed Transit Systems” Huawei presented its approach using state of the art ICT to enhance operational efficiency, reliability and customer satisfaction in the rail transport sector. Exotel, one of India’s leading Cloud Telephony Company based out of Bengaluru, today announced the plans to triple their headcount by end of year 2016. Currently with 70 employees, the company is looking forward to increase headcount to over 200 people in the next 15 months, hiring across technology roles and sales positions. ACI Worldwide released findings from an Asia Pacific study on the current state of digital payment adoption and how new Internet-based services affect payment trends across Australia, China, India, Indonesia, Japan, Malaysia, New Zealand, Singapore and Thailand. Lenovo launched in India the VIBE Shot- a revolutionary smartphone that is set to transform instant photography experience with its impeccable camera features and power-packed performance. The well-crafted, stylish device is a head-turner that blends smooth and elegant design with trend-setting photo capabilities, sharp display and uncompromising performance. The VIBE Shot packs fantastic hardware under the hood encased in premium metal and glass materials. India’s IT services sector expands jobs, investments, taxes paid and community support across the U.S.
To showcase the contributions of the Indian IT industry to the US economy, The National Association of Software and Services Companies (NASSCOM) today released a report titled, “Contributions of India’s Tech Industry to the U.S. Economy” on the sidelines of U.S.-India Strategic and Commercial Dialogue. 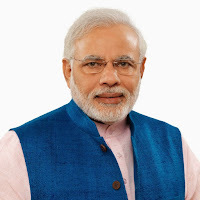 According to the report, India-based information technology companies providing services to American businesses and other customers invested more than $2 billion in 2011-2013; paid $22.5 billion in taxes to the U.S. Treasury in those years; and today support more than direct and indirect 411,000 jobs in the U.S. – including 300,000 held by U.S. citizens and permanent residents). Ken Research announces the research publication on telecom, mobile and broadband industry in Oman available on their platform which provides an overview of the telecommunications industry in the country, major developments, regulatory environment, privatisation and telecom infrastructure. FreeCharge announced shifting to a new office in old madras road, Indira Nagar. The new office is designed to resonate FreeCharge’s ideology of collaboration and conversations which leads to great innovation. The new office is spacious, more vibrant with state-of-the-art-facility allowing more movements within the office. Ericsson and LG Uplus, headquartered in Seoul, South Korea, have signed a memorandum of understanding (MoU) to collaborate on the development of 5G and Internet of Things (IoT) technologies. Indusface announced that Tata Consultancy Services (TCS) has been successfully implementing the IndusGuard suite of products to safeguard their website and online applications. A live webinar was conducted in association with TCS and Amazon Web Services (AWS) to discuss how TCS deploys Indusface and AWS solutions to protect their website and mitigate DDoS attacks. Allied Telesis was recognized on Monday by the White House for its part in a significant public/private partnership in Silicon Valley. Allied Telesis, together with the San Francisco 49ers, Santa Clara Valley Transportation Authority (VTA), City of Santa Clara, Santa Clara Police Department and Arini Geographics, have teamed up to create a smarter, safer Levi's® Stadium and a smarter, safer public transit system in advance of Super Bowl 50. State-of-the-art technology has been deployed at strategic locations throughout Santa Clara County as part of the revolutionary venture. This public/private partnership will serve as a blueprint for other cities to create smarter and safer cities. Ken Research announced its latest publication on “India Reactive Power Compensation Outlook to 2020” which provides a comprehensive analysis of organized and unorganized, the conventional and non-conventional power compensation reactors in India along with new equipment, upgradation and replacement demand. Wipro organized the tenth edition of the ‘Spirit of Wipro Run’, an annual global initiative to celebrate the true Spirit of Wipro. Thousands of employees, their families, friends, customers, partners, analysts and suppliers ran together on the same day at different locations across the world. More than 500 gamers, a spirited audience, high-end gaming gear and a heavily charged atmosphere marked the grand finale of the second Taiwan Excellence Gaming Cup that took place at Infinity Mall, Malad on September 18th and 19th. 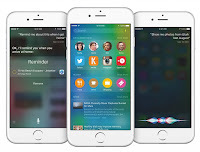 iOS 9 is available for download around the world. iOS has always generated great amount of interest among users around the world. As this is always a free upgrade for iPhone users from the previous OS, it is believed that most of the iPhone users will download this. However, in the firs few hours of launch or maybe a day, iOS has generated tepid response. It is not because the iOS servers are down or something. The response is unlike the previous launches of the OS. Following the Prime Minister’s clarion call of ‘Start up India, Stand up India’ from the ramparts of the Red Fort, NASSCOM, TiE Silicon Valley, and IIM Ahmedabad’s CIIE India are hosting the first India- U.S. Startup Konnect in the Silicon Valley on 27th September, to showcase the strengths of India’s startup ecosystem. Oxigen Services & Disabled Sporting Society is organizing a cricket tournament to promote awareness amongst physically challenged people to join sports and become mainstream sports persons. The One Day International Cricket Match Series named Oxigen Cup 2015, will be played between India and Srilanka from 19th to 28th of September 2015. ICT Academy of Kerala announced that it has tied-up with EMC to train and certify 3000 graduating students with skills on 3rd Platform Technologies like Cloud and Big Data during the next 2 year. As per MoU, the students will be trained on Information Storage and management, Cloud Infrastructure and Services, Data Science & Big data Analytics. Uniphore Software Systems, Chennai-based speech recognition solutions company, announced opening of new office in Bengaluru. Uniphore will add more than 100 people in the next 15 months to their Bengaluru operations. Ricoh India launched fully automated real time shop-floor productivity tracking & monitoring solution ‘RAMP’ in Gurgaon. The new solution from Ricoh will transform the shop-floor/factory transaction reporting and will enable manufacturing companies achieve higher productivity by connecting shop-floor to the top floor through real time monitoring and reporting of machine performance, productivity, downtimes, production output, etc. Dimension Data and EMC announced the Catalyst Alliance, a strategic market development initiative designed to speed the adoption of hybrid cloud as a platform for transformation for the mid-size enterprise. Through the Catalyst Alliance both organizations will make investments to develop and jointly market and sell solutions that allow clients to realize value from business strategies based on hybrid cloud and enable them to adopt new technology while managing risk. MapR provider of the top-ranked distribution for Apache Hadoop, today announced it has extended itssupport for SAS, the leader in business analytics software and services. Joint customers can now benefit from comprehensive interoperability between SAS technologies and the enterprise-grade MapR Distribution including Hadoop. The collaboration between SAS and MapR provides advanced analytics with ease of data preparation and integration with legacy systems, assurance of Service Level Agreements, and security and data governance compliance. 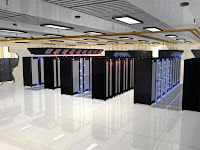 Additionally, joint customers can now cost-effectively grow their big data storage infrastructure without relying on storage area network (SAN) or network-attached storage (NAS). ShopClues claims to bring 2.5 lakh merchants onboard on its platform! Raising the service delivery bar in the e-commerce industry, ShopClues has set another milestone by aggregating 2.5 lakh merchants onboard its platform. The higher education system in India is facing an unprecedented transformation, driven by economic and demographic change. Experts believe by 2020, India will be the third largest economy. Currently, more than 50 percent of India’s population is under 25 years old. But as opposed to developed countries, where the percentage of skilled workforce is between 60 percent and 90 percent of the total workforce, India records a low 5 percent of workforce (20 to 25 years) with formal vocational skills. There is a pressing need for accelerated reform in the higher education ecosystem to equip India’s youth with skillsets that enhance their employability in a digital economy. Business can now increase its reach to consumers. Individuals remain connected to their network, the buyers to sellers and vice versa. InfraBazaar’s mobile app and catalog management system specifies the distance of the product, pricing and description. After more than a decade of digital disruption, the African entertainment and media industry has entered a new landscape – one where the media is no longer divided into distinct traditional and digital spheres, according to a report from PwC titled Entertainment and media outlook: 2015 – 2019 (South Africa – Nigeria-Kenya). MediaTek, a fabless semiconductor company and a market leader in cutting-edge systems-on-chip (SoC), has announced that it will power an array of Amazon consumer products, including the Amazon Fire TV, and Fire HD 8 and Fire HD 10 tablets. These are the latest in a series of Amazon devices powered by MediaTek that offer consumers rich multimedia experiences with minimal power consumption. The global leader in Mobile Manufacturing and Design, Gionee Smartphone announces its brand new fashion and lifestyle F Series in India by introducing the spectacular F103. This phone is very high on style quotient and brings a smooth user experience. F103 by Gionee comes with a rich feel due to the mirror glass finish back. Briston Technomach, a player in the Internet of Things domain, has raised its Seed Round funding of USD 1,50,000 and is further planning to expand its operations to eight major cities including Mumbai, Bangalore, Kolkata and Chennai in next three months.